Today was another busy but GREAT day! 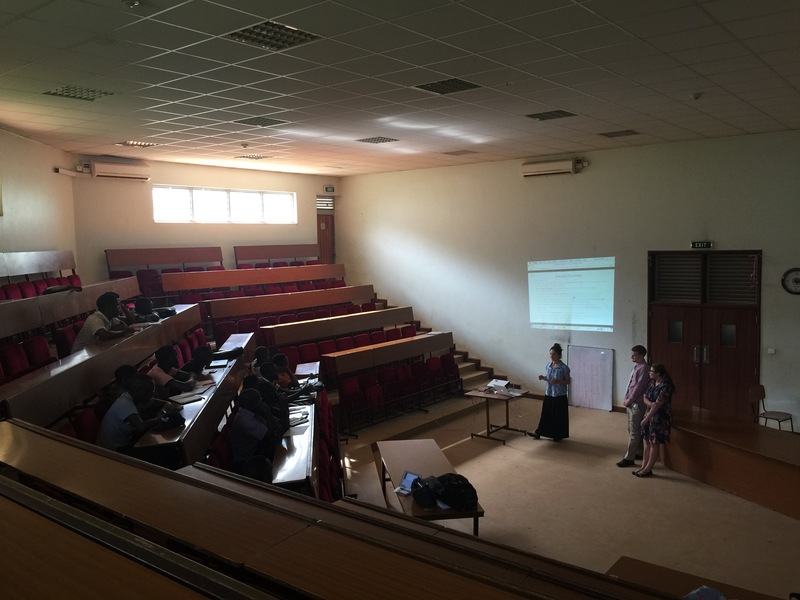 We spent the morning at Nakesero Hospital with the new volunteer Clinical Pharmacists seeing patients and participating in their Multidisciplinary Team Meeting. 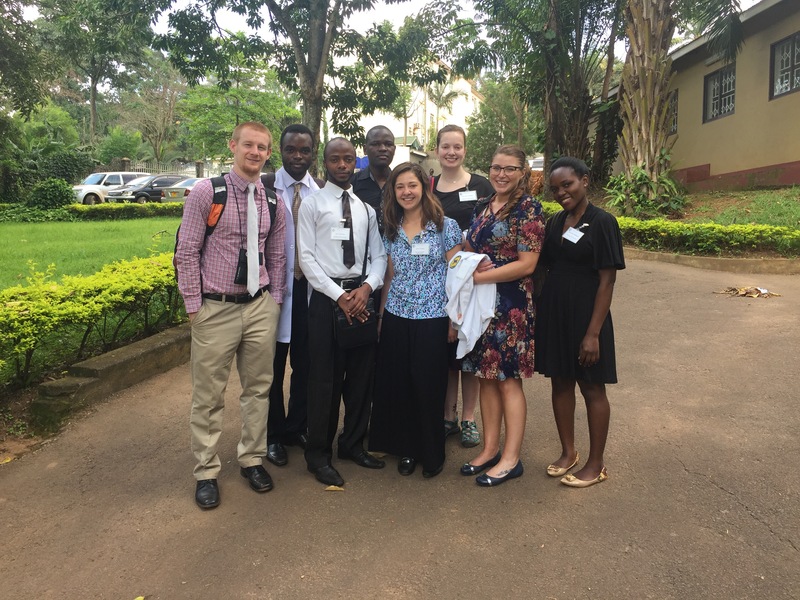 This was a gathering of physicians, nurses, pharmacists, and even a biotechnician. 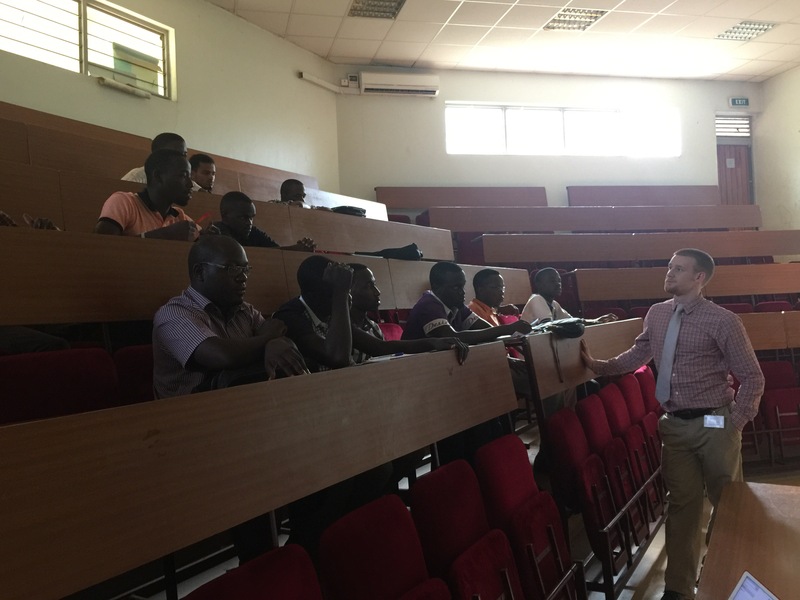 They reviewed patients to make sure the treatments were going well and we had some general discussions about how to improve care. 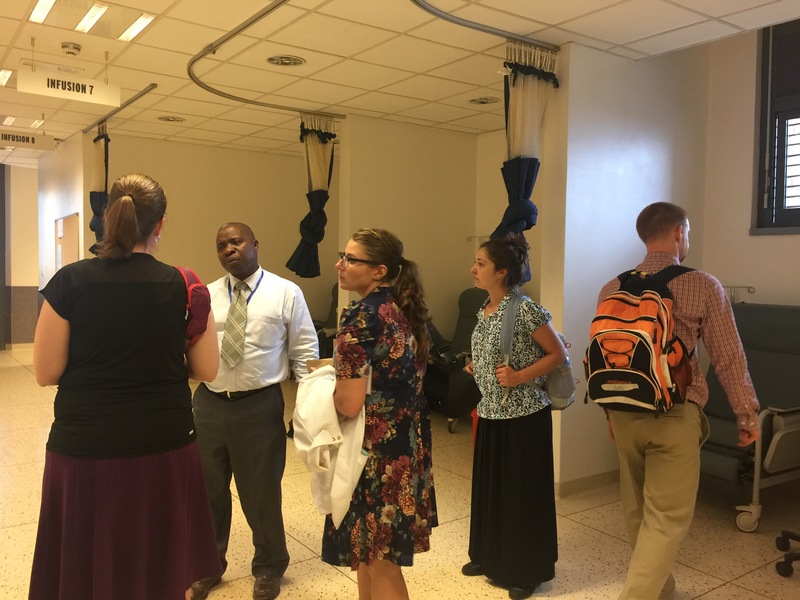 I was really impressed that they have a policy to make sure every patient receives DVT prophylaxis while there in the hospital. A DVT is a blood clot that can develop, usually in the leg veins, when someone is bedridden in the hospital. If that occurs, it can sometime break off in the vein and travel to the lungs where it causes a pulmonary embolus which can kill a person. In the USA we routinely prevent these with medication but most places I’ve worked in Uganda do not do this. The physicians there were very happy for the input from the pharmacists and even told them to not be shy and to make sure they are interacting with the medical team. 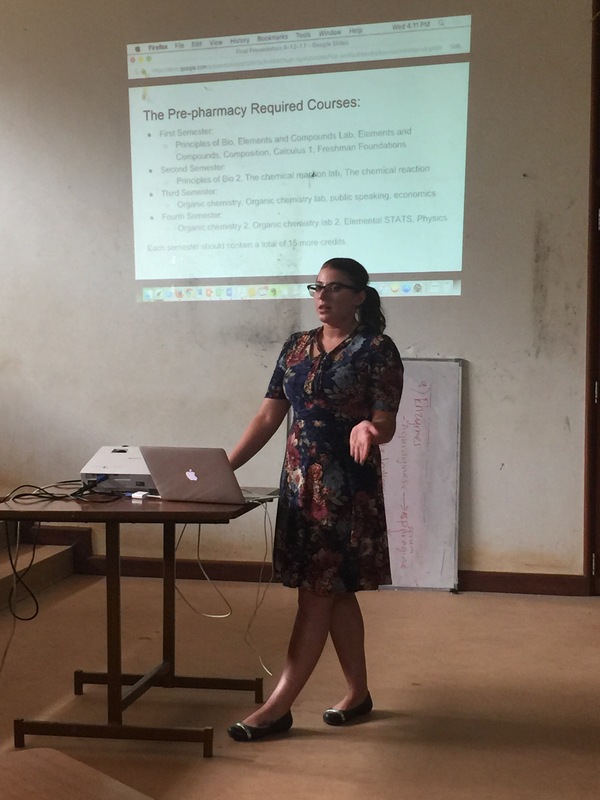 In the afternoon, we went to the Makerere Pharmacy School again and the Wilkes Students did an excellent job presenting on Pharmacy Practice and Education in the USA. 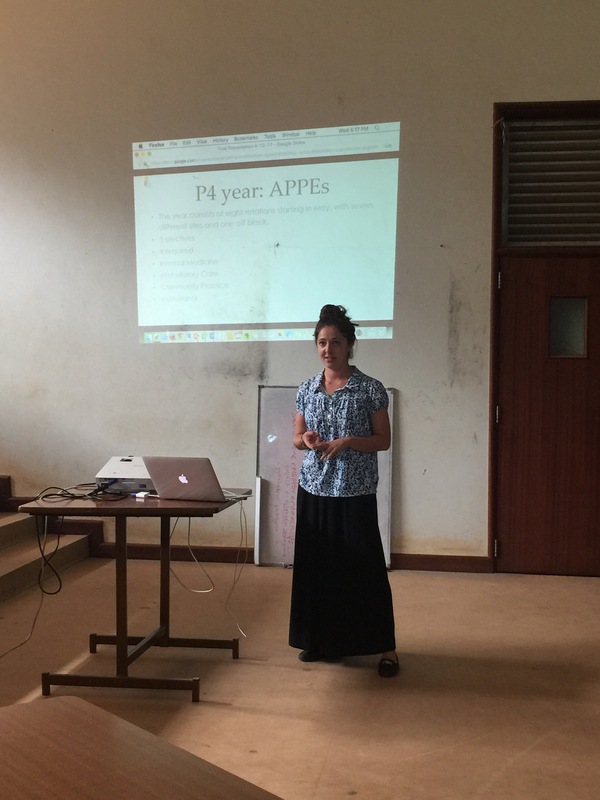 They had lots of good questions from the Ugandan students. 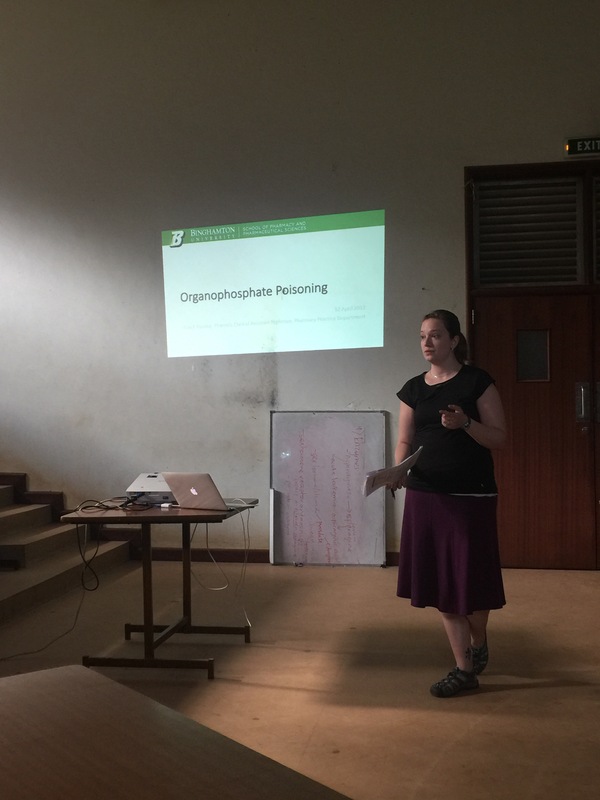 Dr. Erin Pauling gave a lecture on Organophosphate Toxicity. 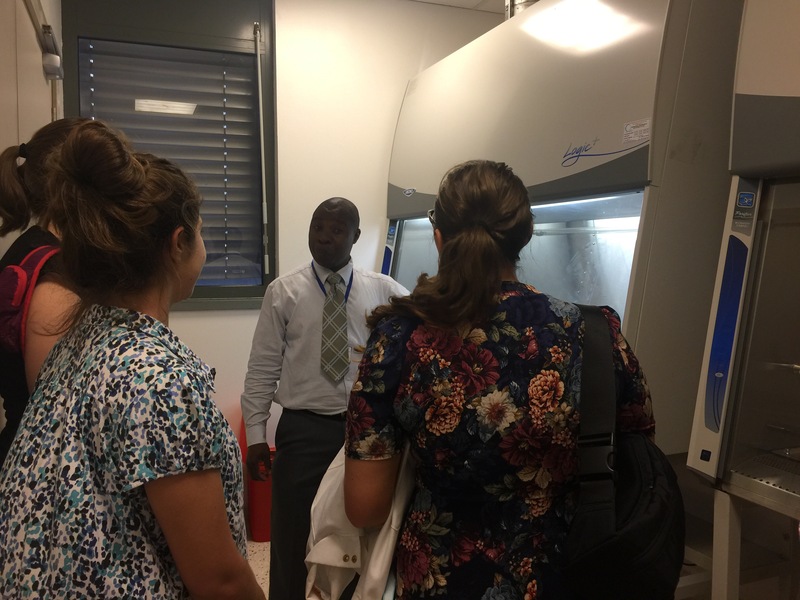 This topic was really out of her wheelhouse but with the help of literature and a guideline from one of the newly hired Binghamton University Pharmacy Practice faculty, Dr. Willie Eggleston, a Clinical Toxicologist at the SUNY Poison Center, she was able to develop and deliver the content as if she was the expert. 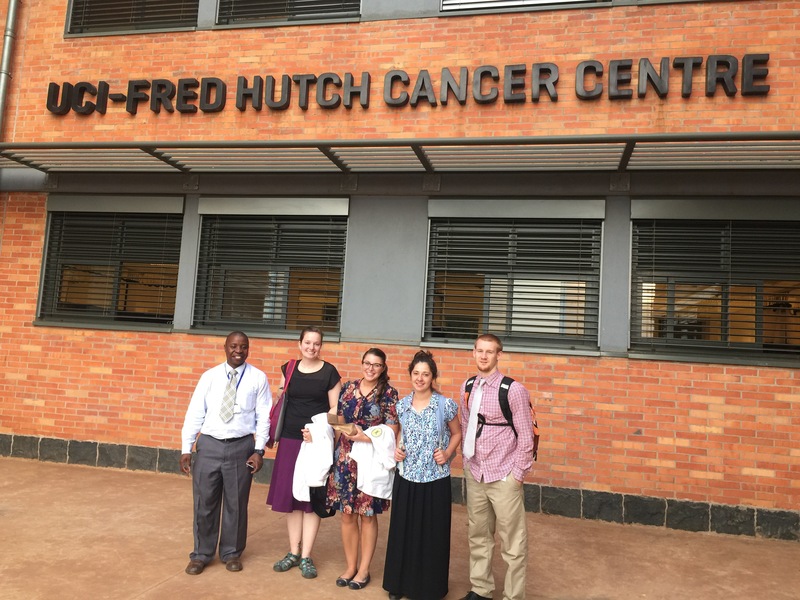 Finally, our day ended when we stopped by the Uganda Cancer Institute (UCI) to meet up with my old friend, Benjamin. He greeted me with the biggest smile ever and a wonderful hug! I was equally thrilled to see him. He is the Pharmacy Director of the UCI and I’ve known him for the past 4.5 years. 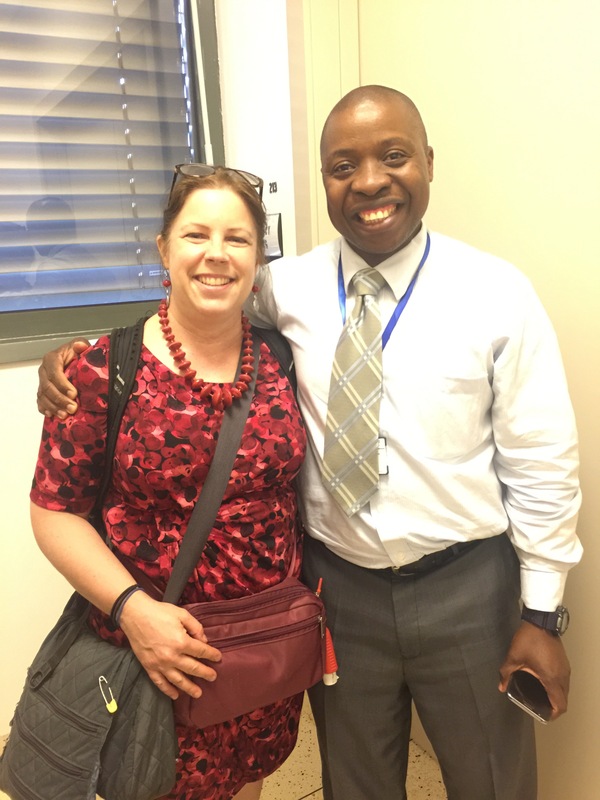 Benjamin is a truly dedicated clinical pharmacist as well as an excellent administrator. He cares for his patients and also has the ability to justify to the Ministry of Health his need for more and better quality oncology drugs. In fact today, he had to go to Parliament to present his report and convince them to provide the funds for the drugs. He was successful! This entry was posted in Diseases/Health and tagged APPE, Binghamton University, binghamton university school of pharmacy and pharmaceutical sciences, Global Health, Global Pharmacy, Global Pharmacy Practice, international pharmacy, Kampala, makerere university, Makerere University Department of Pharmacy, Mulago National Referral Hospital, pharmaceutical care, Pharmacy Students, Uganda, Ugandan Pharmacists, Ugandan Pharmacy Students, Wilkes University, Wilkes University School of Pharmacy. Bookmark the permalink.